10am: Catch the MTR to Wong Tai Sin, Exit B2. Wong Tai Sin Temple is arguably one of the most recognised temples in HK amongst locals and tourists alike. 12pm: Get back onto the MTR and head to Sham Sui Po. This is one of the best areas to pick up electronics cheaply, make sure you haggle hard! Golden Computer Arcade is one that I frequent. Textiles/ribbons/buttons is also to be picked up in this area. Sham Shui Po is a very ‘local feel’ area, and shopping here is cheaper than the other main shopping areas. 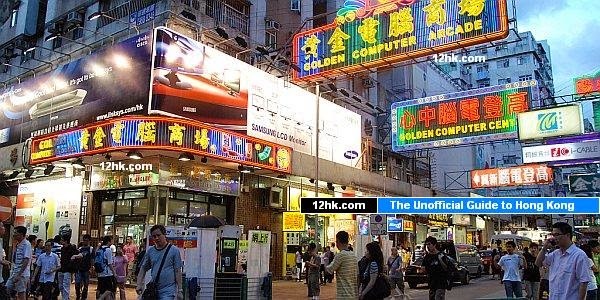 4pm: Mong Kok (Mong Kok MTR, Exit E1) is a famed shopping district and mustn’t be missed. Head over onto Nathan Road if you fancy a long walk amongst the hustle and bustle, but if this is too much, Langham Place offers a nice re-treat for indoor shopping and eating. One of my favourite places to eat is right here. Sai Yeung Choi Street hosts many shops and most famously, street food! Have some loose change in your pockets, a packet of tissue and get ready for some messy eating. Mong Kok (MTR Exit E2) is home to the famous Ladies Market that is iconic to HK. It stretches on for half a mile with 4 parts to it. It tends to be cheaper right at the end of the market, near Dundas Street compared with prices near the middle stretch of the market. Again, haggle hard! 9pm: Put your feet up at the lovely bar in Langham Hotel, Langham Place for a much needed rest after all the shopping and on-foot exploring.